Pot-O-Gold Rentals Porta Potties, Roll-Off Dumpsters, and More! Pot-O-Gold’s Concrete Washout Containers provide an excellent way to safely dispose of excess concrete waste. 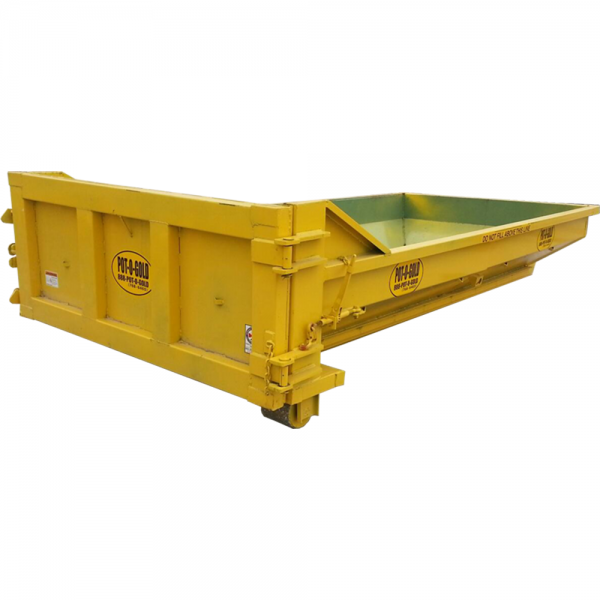 With Pot-O-Gold facilitating the proper recycling of all disposed concrete waste, our concrete washout containers are a great tool to promote regulatory compliance and best management practices relating to concrete washout. Ratchets and Turnbuckles Keep the Rear Door Tight Against the Container, Preventing Leaks. Heavy-Duty 8″ x 8″ Rear Ground Rollers, Pads in the Front Keep the Container Level. What kind of site are you shopping for? Price includes one cleaning weekly. Add up to four (4) weekly cleanings for an additional fee per cleaning.